Our mantra at Major Commercial Cleaning is “We Don’t Cut Corners. We Clean Them.” This is a huge statement to make, and trust me — it’s not always easy to follow through. However, it says a lot about the way we do business. We recognize that doing hard work is required to be successful in business and in life. 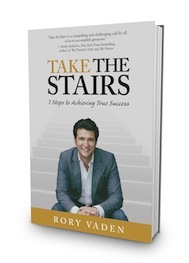 “Take The Stairs,” by Rory Vaden, emphasizes this theme with a common and familiar illustration. It suggests that 95 percent of the time, people will take the escalator to make the climb to the top easier. The book drives home the reality that there are no shortcuts, no easy way to achieve success. We must do the work and make self-discipline key. Vaden uses a story to make his point and it is one with which a building service contractor will likely relate: There are two men in the restroom. 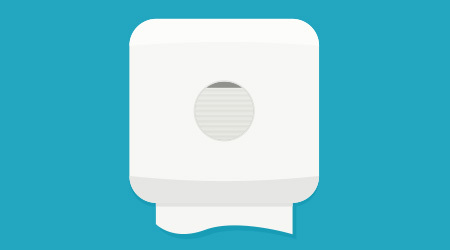 The first man accidentally drops a $5 bill in the urinal, but doesn’t want to retrieve it. He points it out to the second man who reaches into his pocket, pulls out a $50 bill and tosses it into the urinal. The first guy asks him, “Why did you do that?” To which the second man answers, “You don’t think I’d stick my hand in there for $5 do you?” Fifty-five dollars is a much bigger investment than the measly $5 — and the reward was greater in the end. There are more examples of success and so much more good information in this book I could offer. However, don’t take the escalator. 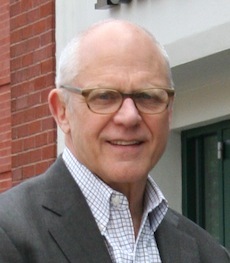 Do the work and read the book “Take The Stairs.” It is readable and relevant for business owners and workers, alike. We gave the book to our office and cleaning staff this past Christmas with the hope that it will affirm the good work they do and inspire them to a higher level of personal success. In a world of “get rich quick” schemes, self-discipline strategist, author and motivational speaker, Rory Vaden reminds professionals that success isn’t reached by taking the escalator — it’s earned by taking the stairs. With humor and honesty, Vaden shares his journey to success: first as a child living in a trailer park and raised by his single mother; to a precarious career selling books door-to-door to get through college and grad school; and finally through the highs-and-lows of building a multi-million dollar consulting business. With a heavy dose of inspiration and encouragement, “Taking The Stairs,” published by Perigee Trade, tackles procrastination and other obstacles that prevent people from becoming successful, providing real-life strategies and empowering readers in the process — one stair at a time.